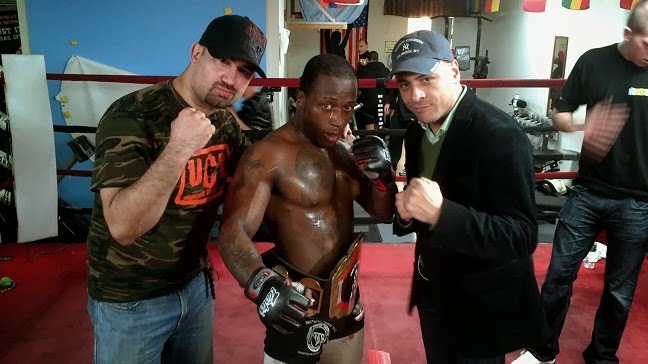 The Underground Combat League has seen a lot of stud fighters come through its doors, and included among those ranks of badasses is Kenny Rivera, who used his UCL experience as a stepping stone and went on to compete in various amateur promotions in other states. When he returned, he won a UCL belt, then turned pro. How good is the veteran fighter? Last weekend, Rivera took a fight in Philadelphia on just a few days notice and earned a quick win via guillotine. Yeah, he's that good. For a closer look at one of New York's best, check out this awesome video. Hey Im a fan of his. Wanted to know if you have a video of him.